Students are finished with their rough drafts and what do they want to do? Immediately write a final copy. NOOOOOOOOOO!!!!! This post will provide ideas for your writer’s workshop when teaching your students how to REVISE a narrrative essay. It is also a part of a series of writing mini lessons that scaffold through the writing process ideal for any writing curriculum. I call Step 3 of the writing process DARE to REVISE. I DARE YOU!!!!!!! Mention a few of your students’ favorite authors and explain how they NEVER take a rough draft and try to publish it right away. They ALWAYS revise! Share an anchor chart or write the folowing on the board. Explain to your students that you are DARING them to make their papers better. Be excited and stress the importance of revising their writing! They will want to imitate your enthusiasm! Don’t get confused with editing mechanics like capitalization, usage, punctuation and spelling. That will come later. This step is making the content of writing better! See the transformation of writing into an amazing piece of art! A- Add more important detail and transition words. R- Rearrange text to be logical and effective. E- Exchange words for clearer and stronger ones. Share a mentor text for revising. One suggestion is Hooray for Diffendoofer Day by Jack Pretlutsky and Dr. Seuss. If you own my interactive writing notebooks, there is a mentor text selection for each grade level. In this particular book, there is an appendix that shows how famous authors find the need to revise! Remind your students that even the best authors revise, edit, revise, edit, over and over before they even think about the publishing stage. Roald Dahl’s website is an amazing resource to share with your students. There is an interview with him where he talks about the importance of revising! Click here to listen to Roald Dahl’s voice and interview! Model how to revise! When you wrote your rough draft with the class, did you make mistakes to correct for this step? If not, no worries! Take a section of the rough draft and make mistakes on it. Show students where they can make changes. Whether you have your students create interactive notebooks or simply take notes in a notebook, have them add the acronym D.A.R.E. They can refer back to their notetaking next time they have to revise an essay! Provide students with a paragraph with mistakes that could be revised. Have them work in partners or groups to find ways for each letter of DARE. Allow them to use a thesaurus, colored pens, and notes, and other student resources for this activity. I used to call this step READ to revise because ultimately you want them reading and listening to their own writing. Read the rough draft out loud! DARE seemed more motivational so I changed it. When students read their own papers out loud, they can HEAR where they are making errors. I love it when a student is reading a writing piece to me out loud and says, “I didn’t mean to say that!” I reply, “This is exactly why we are revising! Think like an author!” It reinforces what I’ve been telling them all along! I like to give them options. 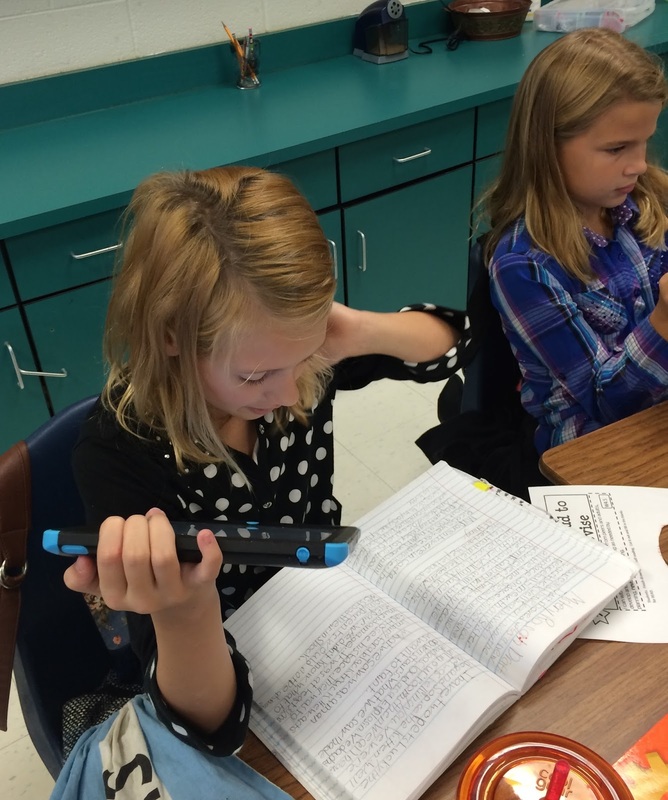 They can read it to a peer or record it on a device where they can play it back to LISTEN for places to revise. Challenge your students to be DARE detectives. Find places to revise! 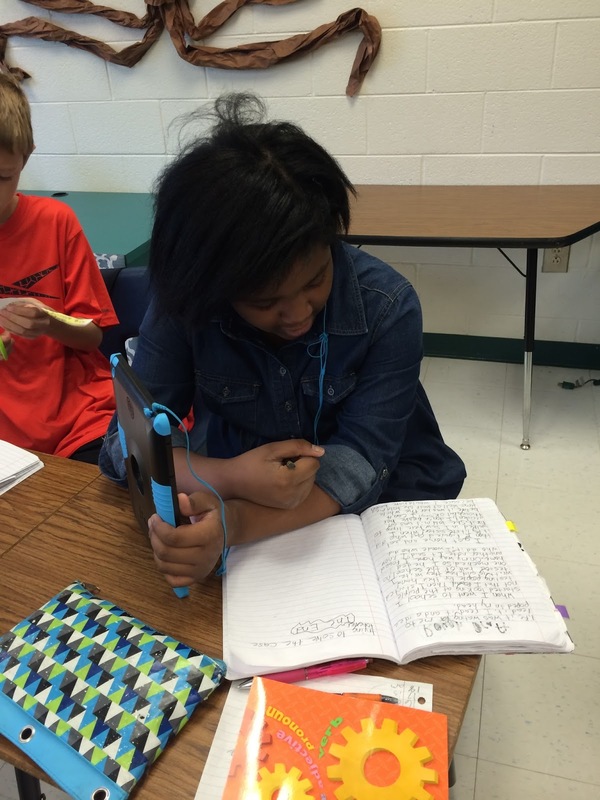 Below you will see students using their IPADs to record themselves reading. Sharing is always a valuable activity. Students learn so much from each other! Have your students share their revisions! Tell them to explain why they chose to revise those areas. I hope this helps in your writing lessons! The next several mini lessons will break down each of the acronyms for revising! NEXT LESSON: WRITING MINI LESSON #24- REVISING A NARRATIVE ESSAY- DELETE!